At the moment though I'm neck deep in Chad Harbach's The Art of Fielding, and kicking myself for not getting there sooner. I'm really worried about Mike Schwartz, you guys. Can anyone reassure me that it's going to turn out okay? This article about an exhibition of bowls. Yup, bowls. I'd actually really love to see it. 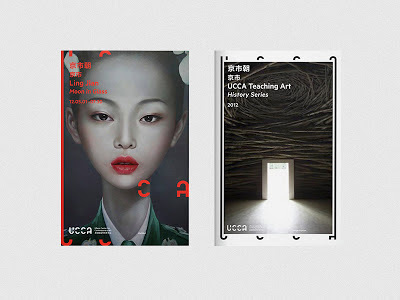 I'm going to spend quite a lot of time at Te Papa's new permanent collection hang, Nga Toi (and there's also the new Arts Te Papa website to explore, optimised for mobile devices). I'll head along for Shane Cotton's talk tomorrow and hopefully Robin White on Monday, and squeeze in at least one midday playing of Michael Parekowhai's red piano. I've also been saving Moving on Asia at City Gallery for the long weekend, and I have radio notes to write and a little side project to work on every day, plus some other bits and pieces you don't need to know about. Easter. It's here now. A slightly soppier, slower, more sentimental selection. Delay Trees are nothing new in their native Finland, but are new to me. Their latest release - 'Doze' - is from the end of last year and the embed below has three tracks from it. 'Pause' is over eight minutes of what I think of as 'car-jam'; lose-yourself-in-it driving music. 'HML' is quite shoe-gazy and has every girl's favourite refrain: 'just the way you are ...'. And 'Future' reminds me of a super-distorted Weezer. And finally. Recently I woke up with INXS's 'Never Tear Us Apart' in my head. A friend sent me a link to this lovely, lovely cover - check out the dramatic jacket removal at about 2.10. I love it. 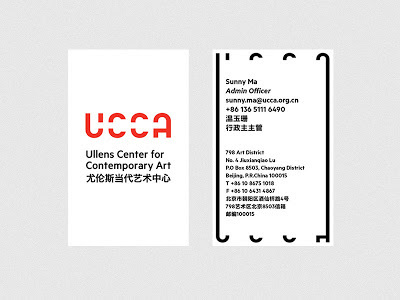 The letterforms are singular and structured when the logo is ‘at rest’, but fluid and elastic when introducing artwork, weaving in and out of frame positioning UCCA as a leader and an active art space. This isn't the first time that the relationship between artist and spectator has undergone a cultural shift. No one in Elizabethan England was talking about “ye olde engagement,” but that may be because the interactive nature of theater was taken for granted. At the first productions of Hamlet and Romeo and Juliet, audiences were anything but docile. This dynamic shifted in the late 19th century for several reasons, including the rise of the romantic artist-as-superhero myth. (You don’t talk back to Beethoven; you worship him.) Ironically, the pacification of the audience was largely the result of an earlier technological breakthrough. This reminded me of a 2010 article by music critic Alex Ross, talking about how audience behaviour in performances of classical music has changed. Somewhat presciently, in an article written just over 3 years ago, Ross ends with a section titled 'Tweet your enthusiasm' (although he doesn't necessarily endorse this: his suggestion was for "more old-fashioned – more local, communal" performances). As the 2013 AAM Trendwatch document suggested though, all of us working in the arts are going to have to figure out ways to balance the artists' and the audiences expectations and enjoyment. Via Kris Wehipeihana on Twitter last night, the lovely Wellington Park Bench project. As everything Nina Simon has ever taught us about participatory projects shows, it's getting the right ask that is crucial. 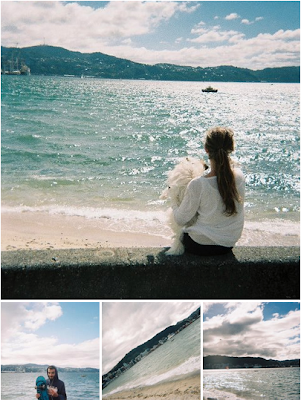 In this beautifully simple project, a disposable camera is left tied to a bench in Wellington (mostly so far on waterfront locations). A note encourages people to take photos; the photos are uploaded to Facebook when the film's done, and the camera moves on. Running since late January, the camera has moved around around four locations and only been stolen once (boo, participatory-project-hater). I'm looking forward to travelling along with it in coming months (I will even visit Facebook, my bete noir, in order to do so, but luckily I can also follow the project on Twitter). I have a wee niece, who turned one in late February. For her birthday my parents gave her - amongst myriad things - a fake iPad. A hunk of plastic with app-like icons that make noises when you press them. My bemusement in that specific moment knew no end. But watching Abby play with screens - seeing her pose and smile when a phone is held up to her in the photo-taking position, seeing her point her index finger to swipe and press, seeing the way she delights in repetitive, predictable responses from the machines ("I press, it beeps, I press, it beeps, I press, it beeps ...") has been highly educational. In the session on play that I went to at Brain Day last weekend, a number of questions were asked of panellists about whether playing video games equalled play, if screen time should be limited, if internet access should be limited, about how to get kids away from screens and into the real world. I had a lot of half-formed reactions and questions myself that I didn't voice: what about all the games aren't first-person shooters, aren't books just as socially isolating as iPad apps, don't kids need to be comfortable exploring new technology just as much as they need to be comfortable exploring other environments? - and so on. Many of these concerns and queries have been deftly investigated by Hanna Rosin in her Atlantic article 'The Touch Screen Generation'. Highly recommended reading. And finish it up by slowing it down and stretching it out - like a less chipmunked The Weekend - with Shlohmo and Jeremih's addictive 'Bo Peep (Do U Good)'. Today on the radio I'll be talking about a bargain basement David drawing picked up recently by the Met, the BBC's 'Your Paintings' project (which included the identification of a Van Dyck portrait) and giving a round-up of what's happening in galleries around the country. If I was going to run my dream conference next week - with no boring reality-based questions like 'where?' and 'how to get everyone there?' and 'how to make it free?' - my topic might be: art made by technology. I haven't gotten very far on planning this, but thinking about it has been sparked by Dan Catt's latest post, on simulated landscape paintings made from simulated landscapes. Catt has used a Photoshop filter by Alien Skin designed to make digital images look like they were handpainted (inside my head, I feel an all-technology link to Dafen, the painting village in China) creating, as the makers say, "a finished piece worthy of printing on canvas and hanging in a gallery". He's used this filter to process screengrabs he's made from the here.com website. 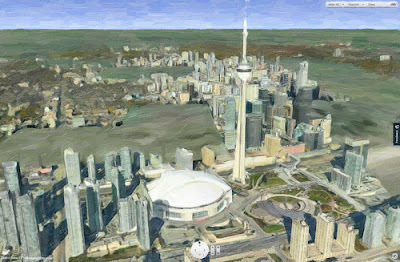 The above image, of Toronto, shows all the glitches in the map-rendering website that Catt has made us of to create a purposefully fake painting by a fake artist of a fake location. Lo-res images are placeholders for their hi-res versions, resulting in skyscrapers that look briefly like stalagmites, some tiles load more slowly than others, leaving blurry swathes of cityscape. He's also kept in all the here.com elements; navigation devices, feedback button, copyright notice. Catt's piece took me back to Piotr Adamcyzk's presentation at NDF2013 (the video is online, and at just 25 minutes, I thoroughly recommend you give it a watch). Piotr works on Google Art Project, and in the second half of his talk he goes into some of the weird, serendipitous, almost sublime imagery that the technology throws up, making images that don't - can't - otherwise exist. 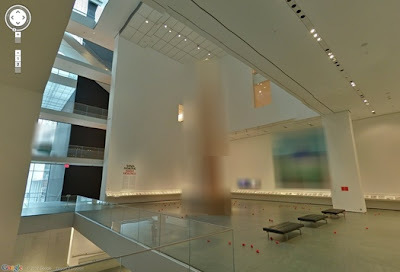 Take for example this grab of Sanja Ivekovic's atrium installation, Rosa of Luxembourg, at MOMA. As the works aren't copyright-cleared for use in Google Art Project, they are rendered as blocky blurs (very New Aesthetic). In his talk, Piotr went into these felicitous accidents, and proposed that a new form of art could grow from them. 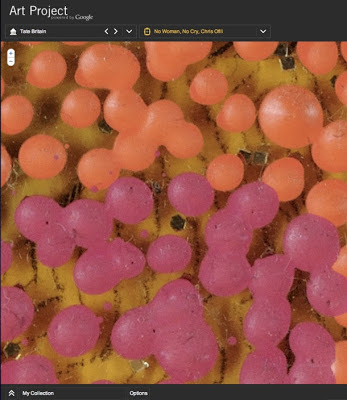 Another aspect of Google Art Project, increasingly available on museum websites, is the extreme close-up permitted by mega-pixel images. This, for example, is an extremely zoomed tiny part of Chris Ofili's No woman, no cry from the Tate's collection. The artist never saw the work like this - we viewers (except those equipped with extraordinarily powerful magnifying glasses) never have either. If technology is not exactly making new artworks, it's still doing something interesting, weird, experimental, playful and thought provoking. It is, as James Bridle suggests, the emergence in the real world of a digital way of making and seeing objects. And it's got my head spinning. My heart lurched when I opened Twitter just before boarding a flight and discovered that Google are shutting down their RSS tool, Google Reader, on 1 July (I felt like their announcement pop-up needed a third button: 'OK', 'Learn more', 'Oh my god nooooooooooooooooooooooo'). Reader is how I consume vast swathes of my internet. I have, at the moment, 98 subscriptions, organised into folders called Art, Books, Advice & up-to-date (mostly web-related), Museum & library blogs, Music, Share, and Product alerts (these are searches that I keep tabs on, for example, 'dowse lower hutt'). It's the third thing I fire up every day (Email > Twitter > Reader > Work email) and one of the last things I look at at night. Over the last month I averaged nearly 100 items a day, and clicked through to about 13% of them. Just as a soldier lives for battle, just as a wolf lives for the hunt, so my Google Reader, I felt, was leading the life I was meant to lead. A few months in, after I’d carefully curated my feeds, my Reader really did seem to contain the entirety of the world of ideas. When I found out, I felt a very genuine sense of loss. And I felt a strange bond as my twitter feed filled up with friends and acquaintances sharing the same sense of bewilderment and rage. No-one talks about using RSS anymore. No-one talks about Reader. But as Matt Howie put it in a post that explains what Reader does and why it will be hard to replace, "it wasn't easy news to take, since I thought it'd always be around like water or electricity, run by the largest technology company on earth." Between now and July, I will be both appreciating Reader more, and casting about for a replacement service. Because the internet won't be the same for me without it. CHVRCHES 'Recover' - icy, airy, a little chipmunky and a super fun transition at about 1.15. Ski Lodge's 'Just to be like you' - one of those ostensibly sad songs that, like 'Boys don't cry' and 'Here comes your man', makes me feel happy. Over on The Dowse's blog I've written a summary of the six trends identified in the American Alliance of Museums 2013 ‘Trendswatch’ document: changes in donors' expectations, 3D printing, the convergence of museums and formal education, the Internet of Things & indoor GPS, unplugging, and the return to the city. First, Cliff Curtis, Notes on being thoroughly edited: the New Zealand writer on the editing process for his first full-length novel. The book is set in small-town New Zealand at the start of the 20th century, and the ex-National Library staffer inside of me was pleased to see Curtis mentioning using Papers Past to demonstrate to his editor the language people in 1902 could plausibly been using. Accents are a visible tang on people's lips. Witnessing someone with an accent is like taking a sip of clear water only to find it tainted with something else. I startle and leap to attention. As I explore the strange taste, my brain puzzles itself trying to pinpoint exactly what it is and how I should respond. I dive into the unfamiliar contortions of the lips, trying to push my way to some intelligible meaning. Next Saturday, I'm heading along to Brain Day at Auckland University. The geeky part of me that did as many neuropsych papers as possible at uni myself is thrilled. The art part of me is also intrigued, as the theme of this year's Brain Day is 'Your creative mind'. Why do we dream, brood over the past, make up stories, or drift into reveries when we’re supposed to be hard at work? Is it just background noise, like static on an old radio? Professor Corballis will argue that mind wandering is actually adaptive, helping us plan things, find creative solutions, and even define a sense of who we are. I've increasingly noticed myself creating space to let my mind wander when I have writing deadlines on: it's like I plug in a few seed thoughts, and then try to fool myself into thinking that I'm not thinking about them, in order to let them grind away slowly "by themselves". Likewise, when I'm grappling with a new topic, I can almost literally feel my mind stretching. It "fills up" some nights at jiu jitsu, when it just can't cope with having any more new sequences added to it, or "gets tired" along with my body, and forgets how to make it move properly. Anyway. I'm excited. And if you're going to be there, let me know. Fallulah's 'Out Of It' - I dare you to play this without dancing along. Following the summer break and a few scheduling slip-ups, today I'm back on the radio. I'll be talking about rediscovered artworks, an amazing database of art in Britain, and vacuuming-cleaning visitors to the Sistine Chapel. 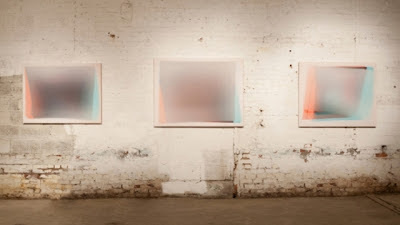 Micah Walter has written a very thoughtful response to the notes from my talk around Ben Cauchi's City Gallery Wellington, 'Has the Interent Killed Photography?'. I'll be the first to agree with Micah that my talk's title was throw-away. I'm terrible at titling things. I should outsource that work. And I should have renamed the talk as my ideas grew, but I really didn't come up with anything better (for the context, which was advertising the talk on the gallery's website in hopes of getting people along. If I was writing for publication, it would of course have the obligatory Short Snappy Statement: Long Discursive Explanation format). My first reaction would have been to talk about the actual “trade of photography.” The time in our recent history when people trained to be photographers the way plumbers train to be, well, plumbers. There was a perception that photography was first, magic, and then something someone could learn and charge lots of money for. This is where photography begins to die. If we're not still speaking of photography, what are we speaking of? That's a question that could sustain a really interesting debate, from all sorts of points of view. Anyway. I'm truly grateful to Micah for taking the time to write in response. People don't do that much any more. I hope we get a chance to talk about this in person some time soon. A long, thoughtful post on emotion, archives, linked data and hypertext fiction by Mark Matienzo. Make a cup of tea, find a quiet place, and settle in.